We are super excited to be welcoming the stunning bridal outfits of MayAnn Unique Design to our Cheshire Wedding Fayre on Sunday 16th September, 12 - 4pm. MayAnn Unique Design is an independent, locally based family run business in Ellesmere Port, Cheshire. They provide clothing for Weddings and are stockists for AngelB Bridal, Angel Curves, Amanda Wyatt, Millie May, Millie Grace and LouLou. They also offer Alterations and Bespoke Clothing and Embroidery services. Their aim is to cater for the individual with high quality products whilst maintaining high standards of customer service. They have a custom selected range of dresses for the petit to the Voluptuous brides something to get any beautiful bride excited for her big day. Come and visit their exhibiting stand and chat with their friendly team and fin out more about their AMAZING OFFER OF UP TO 50% off their Bridal Gowns!! That is right 50% off!! They have also donated a necklace and earring set in to our free raffle for one lucky Red Event Bride! 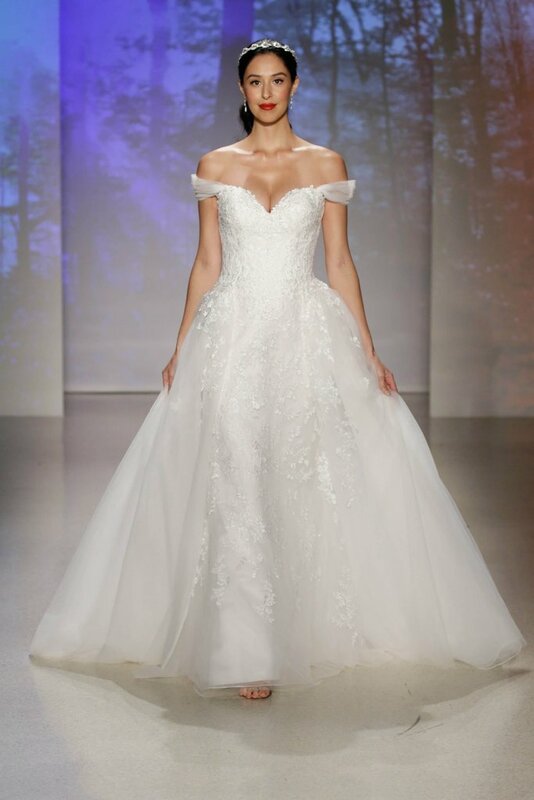 MayAnn Unique Design will be exhibiting their Bridal and Bridesmaid outfits at our popular Cheshire Wedding Fayre and will be show casing their range on our catwalk shows at 1:30pm & 3pm. This will be a catwalk you won't want to miss as we will have so much wedding goodness on offer wedding; Live Music by Eske, Menswear by Munros, Flower Girl outfits by Tara Lee Bridal Ltd, Hair and Make up by Leanne Victoria Hair Design and She's Prem. We also announce the lucky winners of our on the day free prize draw to win lots of amazing prizes and wedding goodies. 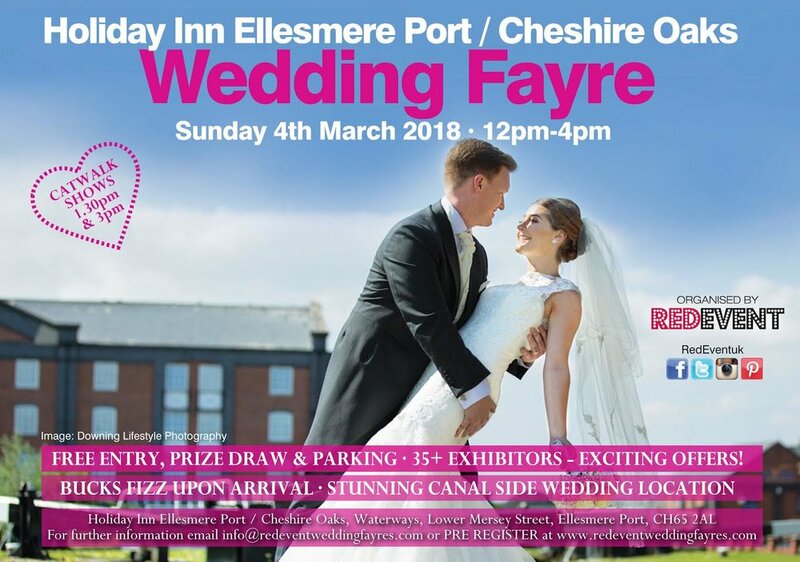 So whether you are looking for your Bridal Gown or Wedding outfits for your big day, come along and soak up the atmosphere at our popular Cheshire Wedding Fayre, we will have all this and more for free and you will be welcomed with an arrival drink and canapés. We look forward to welcoming you! Pearl Vine Print offer Luxury and Professional Wedding Stationery and Invites, receive 10% off your first order when booking them at our Cheshire Wedding Fayre this Sunday 16th September! We are super excited to be welcoming the fabulous work of Pearl Vine Print to our Chester Wedding Fayre this Sunday 16th September, 12 - 4pm. Pearl Vine Print offer Luxury and Professional Wedding Stationery and Invites. Using graphic design they are inspired by Typography, print and all things pretty!! They offer Luxury Extras such as these beautiful metallic wax seals available in a range of colours, here they're shown in copper, gold and silver but they are self-adhesive so you can close off your envelopes yourself. Not only do Pearl Vine Print offer stationery to make a big statement but also the little add ons to make your invites look luxurious! Come and see their stunning range of stationery and invites for your self and visit their exhibition stand at the Macdonald Craxton Wood Hotel & Spa, Chester. If you like what you see you will receive 10% off your first order!! To receive this is offer orders from their website www.pearlvineprint.com and enter the code CRAXTON (*min spend £30, expires 31.10.18, one use only). 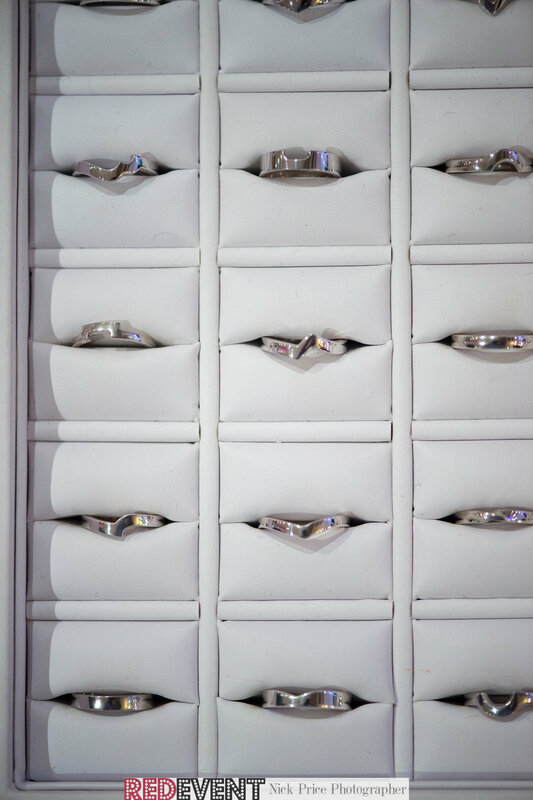 Whether you are looking for your 'save the dates' or invites and stationer for your wedding day or for wedding ideas and wedding advice, come and enjoy an afternoon of wedding shopping! The Hotels Wedding Team will also be on hand to answer any questions, as well as two catwalk shows, freebees, tasters and so much more! We look forward to welcoming you, doors open 12 - 4pm! See the Pretty Flower Girl Dresses of Tara Lee Bridal on our catwalk shows at our Cheshire Wedding Fayre! Receive 10% off when booking an appointment with them on the day!! We will have the pretty bespoke flower dresses from Tara Lee Bridal Ltd showcased at our popular Cheshire Wedding Fayre on Sunday 16th September, 12 - 4pm. Tara Lee Bridal Ltd are UK designers and manufacturers off Flower Girl Dresses and Girls Bridesmaids Dresses. They make made to measure dresses with any colour sash to match your adult bridesmaids. 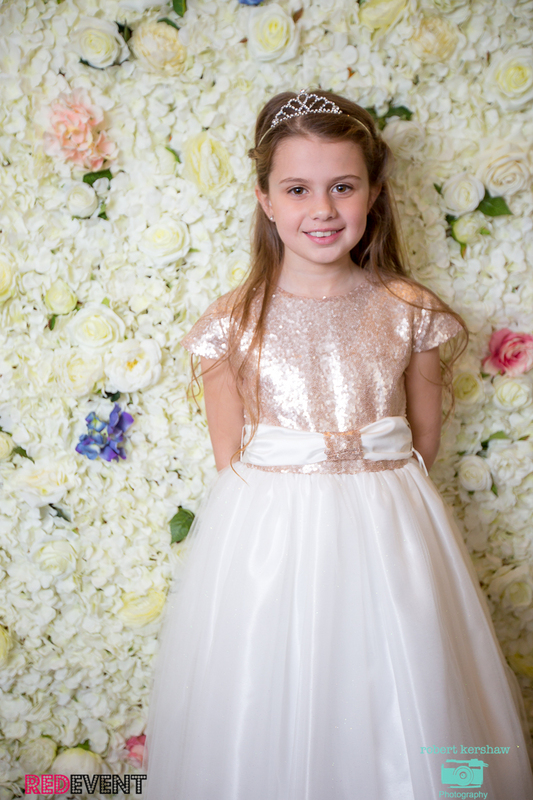 They will be showcasing their pretty flower girl dresses on our catwalk shows, be sure not to miss them, we certainly cannot wait to see their latest designs available!! They are also offering to all Red Event brides and grooms 10% off if you book an appointment on the day of our Cheshire Wedding Fayre and make an order! So make sure you come on down to receive this fantastic offer and see what other discounts we will have on offer from our other amazing wedding suppliers! Sunday 16th September is the date to remember! Stop by and chat with Gloria about your wedding theme, colours and bridesmaid dresses so she can tailor a beautiful bespoke flower girl dress perfectly just for you! 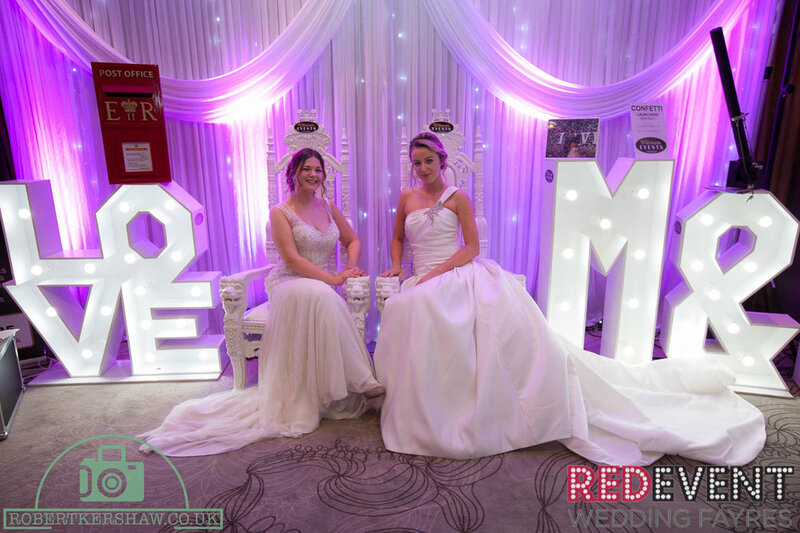 Our Red Event Cheshire Wedding Fayre is FREE ENTRY and we will have up to 40 Professional Exhibitors available offering you the all important wedding advice, lots of Wedding ideas & Wedding inspiration! Catwalk shows are at 1:30pm & 3pm. So what are you waiting for?? Come along and enjoy an afternoon of Wedding Shopping & Planning at the picture perfect Macdonald Craxton Wood Hotel & Spa! Choose your storyteller, Iain Yarwood will capture the magical moments of your wedding day! Come & chat with Iain at our Chester Wedding Fayre, receive 10% off if you book him on 16th September! It is not long until our Cheshire Wedding Fayre at the Stunning Macdonald Craxton Wood on Sunday 16th September and we are SO EXCITED!!! 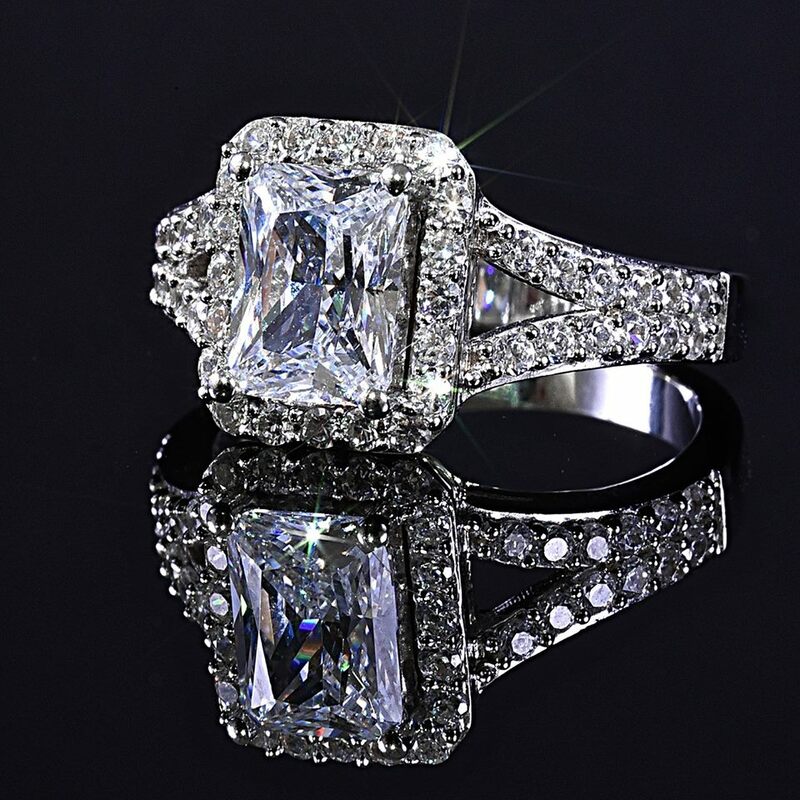 We will have so much in store for all you brides and grooms getting married!! Including amazing wedding suppliers waiting to share with you all their wedding advise, tips and experience! 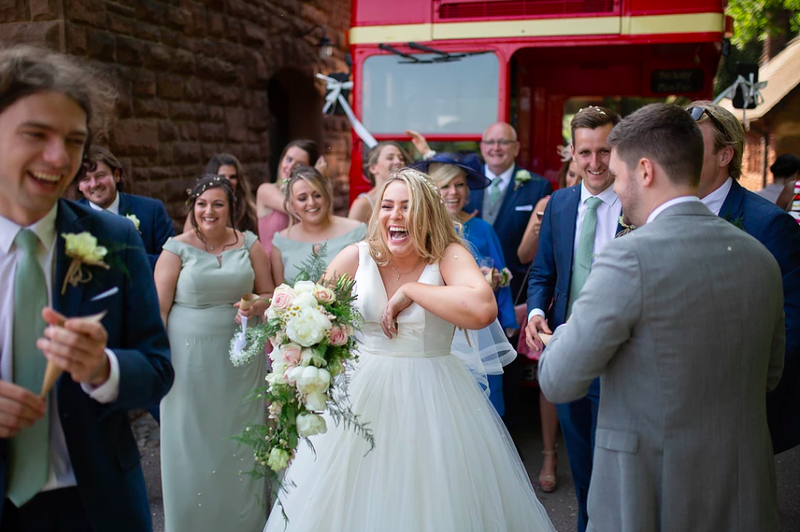 Iain is offering a fantastic 10% off his videography prices for any brides and grooms who book his services on the day of our Cheshire Wedding Show at the Macdonald Craxton Wood Hotel & Spa in Chester. Come along and chat with Iain so he can explain why you should choose him as your wedding videographer!! If you are getting married and looking for your perfect story teller or for wedding ideas and wedding inspiration, you will want to come and enjoy an afternoon of wedding planning and shopping at this Cheshire Wedding Show. We will have catwalk shows at 1:30pm & 3pm, live music to enjoy, fizz and canapés upon arrival and more amazing wedding suppliers just like Iain waiting to help you plan your dream wedding! Come and have some selfie fun with your bridal party in The Booth that Rocks. Book them on Sunday 16th September and receive a 10% discount! We are super excited for our Cheshire Wedding Fayre at the Macdonald Craton Wood on Sunday 16th September, come along with your bridal party and have some selfie fun in The Booth That Rocks!! The Booth that Rocks offers Photo booth fun for your wedding guests with video messaging, green screen, bespoke photo backgrounds, social media integration, guest book and lots of props for your to strike your best pose with!! They are offering 10% off when booking their photo booth services on the day of our Cheshire Wedding Fayre on Sunday 16th September. 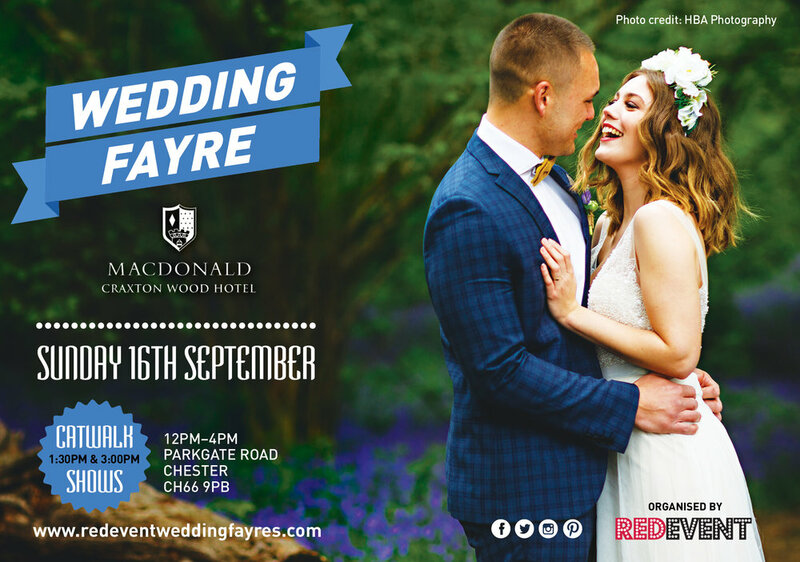 Whether it is guest entertainment like The Booth that Rocks that you want to book for your big day or you just want to find out more about what they can offer, come along to our popular Cheshire Wedding Fayre at Macdonald Craxton Wood Hotel & Spa on Sunday 16th September, 12 - 4pm for this and much more! We will have everything that you need to plan a wedding, all under one roof. 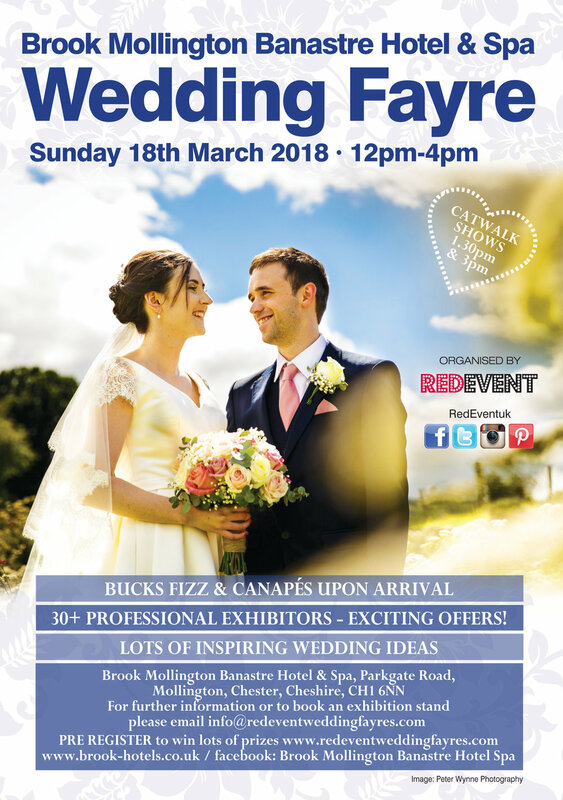 Special offers from our wedding suppliers and fantastic prizes to be won in our FREE raffle - winners will be announced at our catwalks at 1.30pm and 3pm. 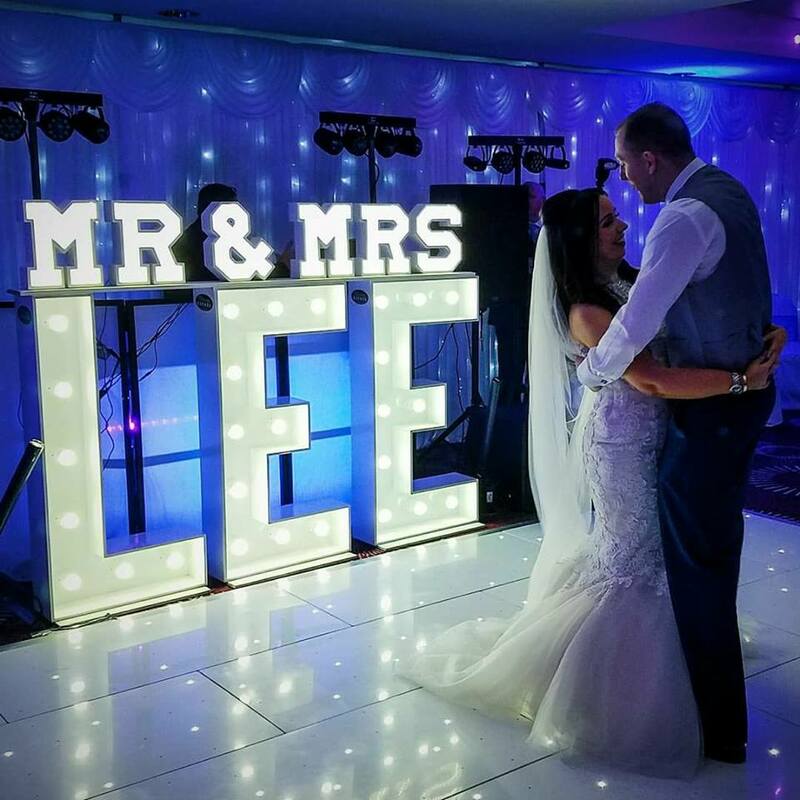 Ultimate Events are the North Wests leading provider of Professional Party and Event Entertainment planning and production services, offering a wide range of Hire Equipment for your Wedding Day! They offer Effect and Mood Lighting, Up-Lighting, Room Decoration, Stage and trussing, Sound / P.A. systems, Illuminated Dance Floors and various Special Effects equipment throughout the North West. Their show offer is 10% discount offered on confirmed package deal booking's taken on day of the Red Event Wedding Fayre *deposit required. Ultimate Events are a family-run business, small enough to care and give the personal touch as well as being big enough to cope with all your individual needs. Come along to our Chester Wedding Fayre at The Brook Mollington Banastre Hotel & Spa on Sunday 18th March and speak to one of their specialist teams to discuss how they can help further to make your Wedding a day to remember! Free entry! Bridal Make Up is one of the most important parts for a bride on her wedding day to make you feel confident and relaxed within your own skin! We are delighted that the super talented Sarah from 'She's Prem' will be exhibiting and showcasing her make up designs on our catwalk show at the Holiday Inn Ellesmere Port Cheshire Oaks Wedding Fayre on Sunday 4th March, giving you a taster of the trends in bridal make up this Spring! Sarah's special offer is an amazing 15% off your bridal parties makeup if booked on the day of our North West Wedding Fayre. Sarah will also offering mini make overs on the day of our Spring Wedding Fayre and advice on your wedding day make up! She's Prem has also donated to one lucky bride a full face of make up with lashes! Just register on the day to be entered and winners will be announced during out catwalk shows at 1:30pm & 3pm. Come along to our North West Wedding Fayre at the peaceful and stylish venue Holiday Inn Ellesmere Port Cheshire Oaks on Sunday 4th March. We will have everything you need to plan your wedding all under one roof. With a jam packed programme of catwalk shows, live music and entertainment, arrival drink, tasters and over 35 amazing wedding professionals, you will be sure to indulge in an afternoon of wedding planning and shopping. Free entrance, fayre opens 12 - 4pm. Come along to our North West Wedding Fayre at The Formby Hall Golf Resort & Spa on Sunday 18th February and speak to one of their specialist teams to discuss how they can help further to make your Wedding a day to remember! Stay Forever Young with lots of discounts on Forever Living Products!! 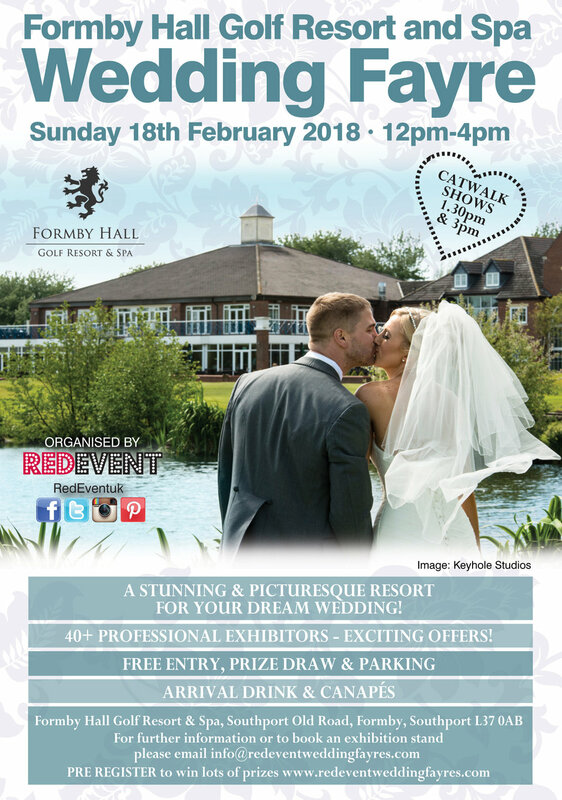 Alison Gayton Forever Living representative will be exhibiting their amazing health & beauty products at with exclusive special offers at the Formby Hall Golf Resort & Spa Wedding Fayre on Sunday 18th February, 12-4pm. Visit their stand and ask about their discounts and receive 10% off all purchases made on the day. Order their flagship product the c9 and save £20 as it will be at the special rate of £89 instead of £109. All brides & grooms that come to our wedding fayre will also be entered into our on the day free prize draw to win a one c9 - 9 day detox worth £109! So whether you are looking for ways to get fit, healthy and feeling great for your wedding fayre or for wedding inspiration and wedding ideas we will have it all this Sunday at our North West Wedding Fayre on Sunday 18th February! Enjoy canapés and arrival drink, live music, lots more exciting offers like these and be sure to watch our catwalk shows to find out if you are a winner of our on the day free prize draw. Winners are announced during our catwalk shows at 1:30 & 3pm.